THE TIDE EXPERIMENT has been implemented for the fifth time this year with the support of Creative Europe – MEDIA Programme of the European Union. The Film Agency manages the marketing strategic coordination of transversal and multi-territorial releases of films on Day-and-Date (simultaneous VoD and theatrical releases) and, as of 2015, on Festival-to-Date (simultaneous VoD and festival releases). WALK WITH ME is a meditative film about a community of Zen Buddhist monks and nuns who have dedicated their lives to mastering the art of mindfulness with their world-famous teacher Thich Nhat Hanh. 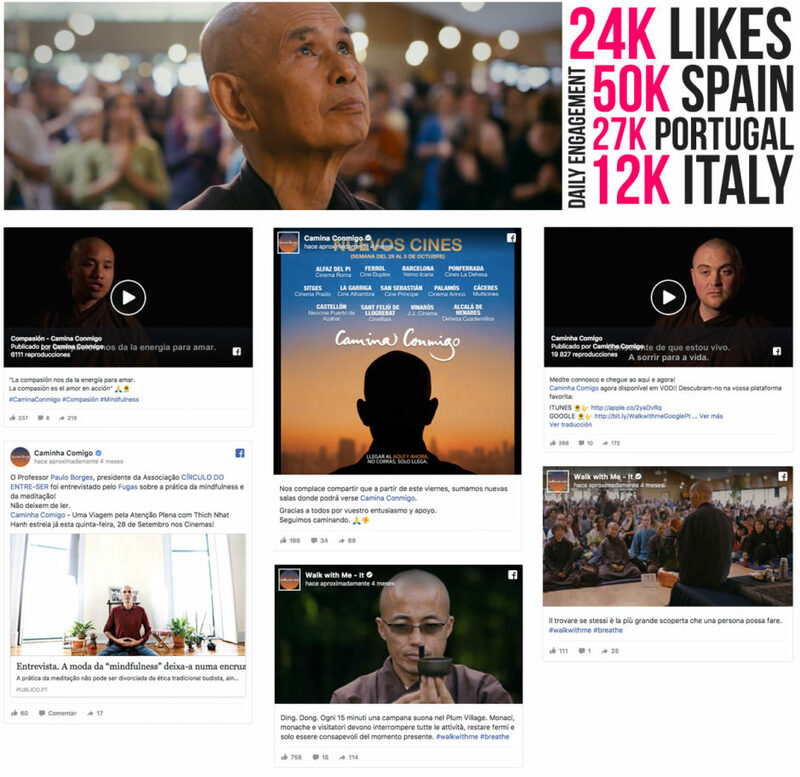 The film was released on a Day-and-Date pattern in Italy, Portugal and Spain through distribution partners: Just Wanted, Alambique and Karma Films. The Film Agency took care of the Marketing Film Materials as well as the strategy for International Digital promotion, including social media and events promotion, mainly focused on approaching key target audiences through specialised media and digital advertisement.